Newfane’s First Century, 1874 includes Newfane’s original charter, information about first families and town officers, and more. Vermont Historical Gazetteer, Vol. 5, 1891 features a history of Cumberland County and Brattleboro, as well as other towns and villages throughout what is now Windham County. Hamilton Child’s Gazetteer, 1884 features a description of Newfane and Windham County. Contact the Town Clerk in the following locations for birth certificates, death certificates, land records, and other official town records. 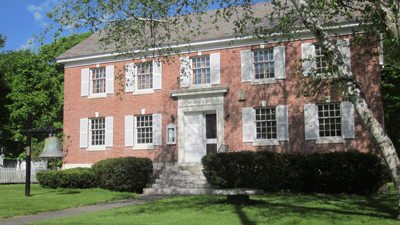 Brattleboro Historical Society – website of the Brattleboro Historical Society and Brattleboro History Center.